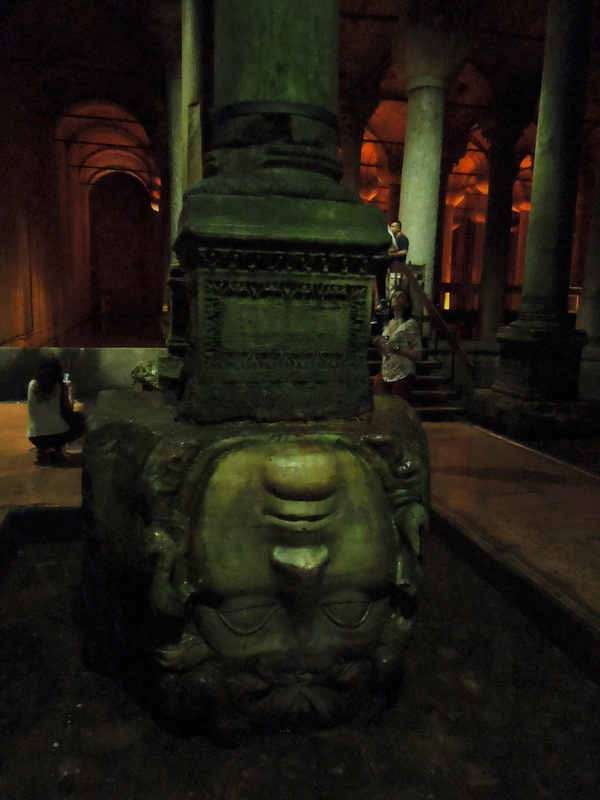 The Basilica Cistern in Istanbul surprisingly turned out to be one of our favorite sites we visited. It might have been in part because we really had no idea what to expect. It’s such an ancient place and just feels like it is a part of a significant history (which it is). 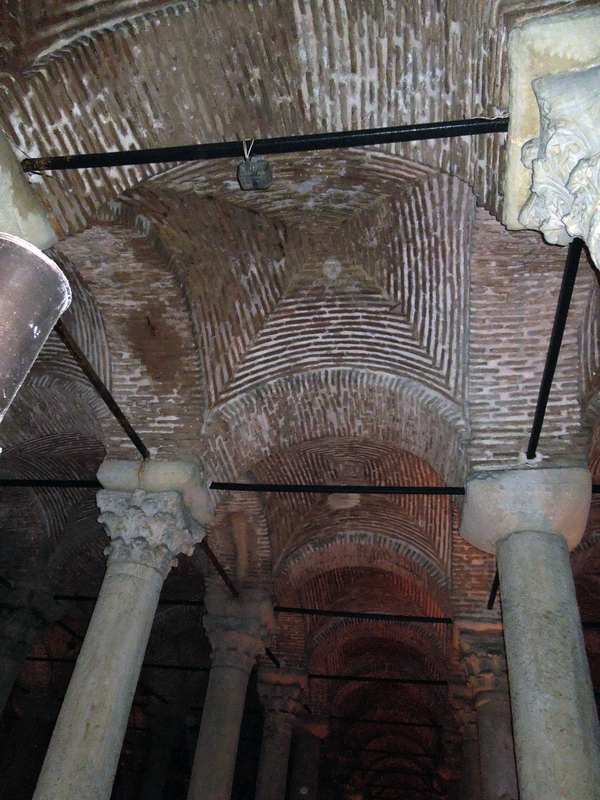 Built when it was still Constantinople, the Romans built this cistern (among many others) to hold the city’s water. 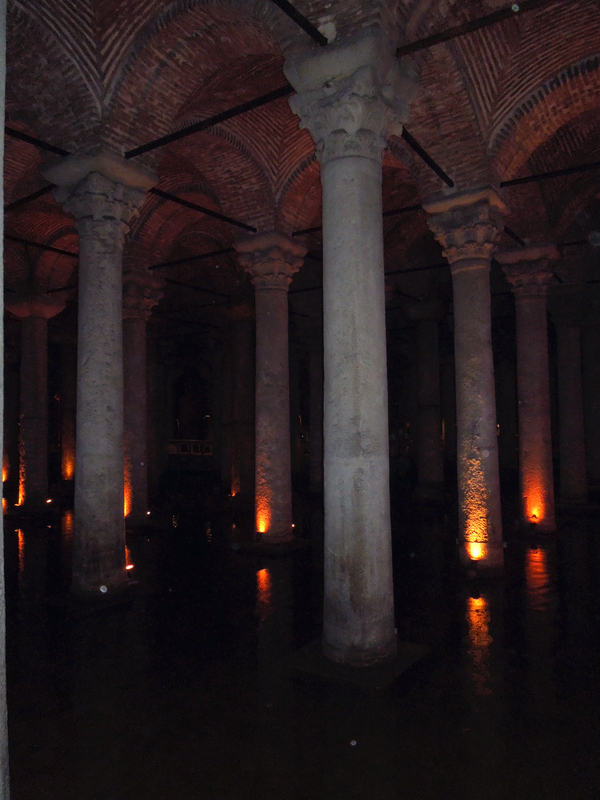 This is the largest of all the cisterns they built. 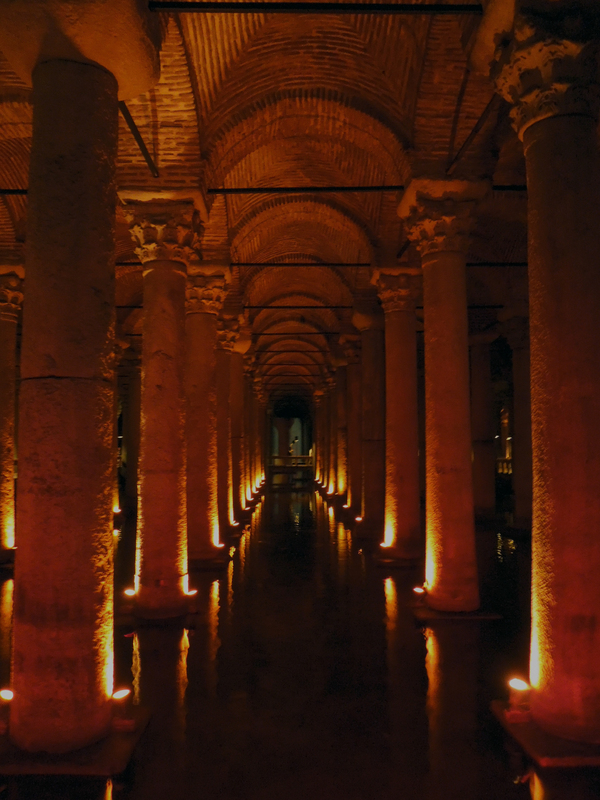 Constructed in the year 476, this was by far the oldest place I have ever been (until we visited Cappadocia, that is… but more on that later!). The entire place is just a sea of columns. 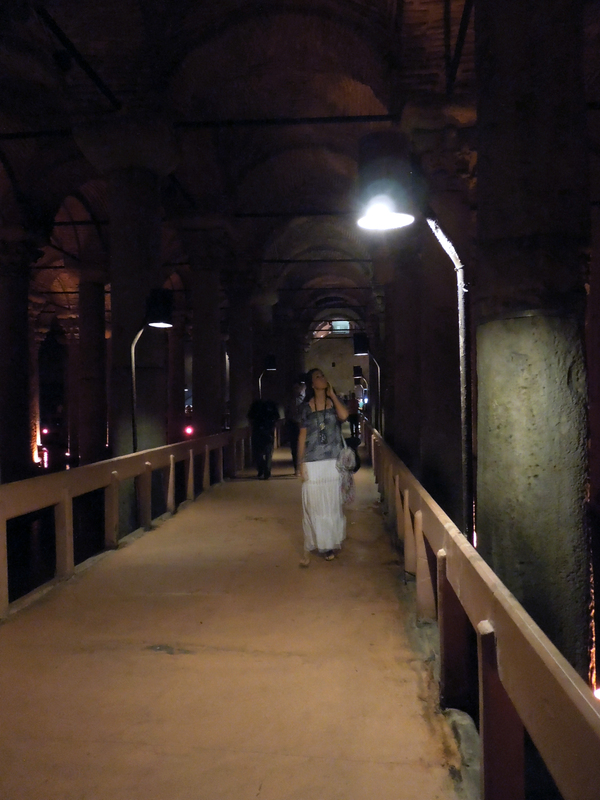 Of course they are now lit for better viewing for tourists, and they keep the water level very low. But just imagine: all this for what is essentially just a water tank! 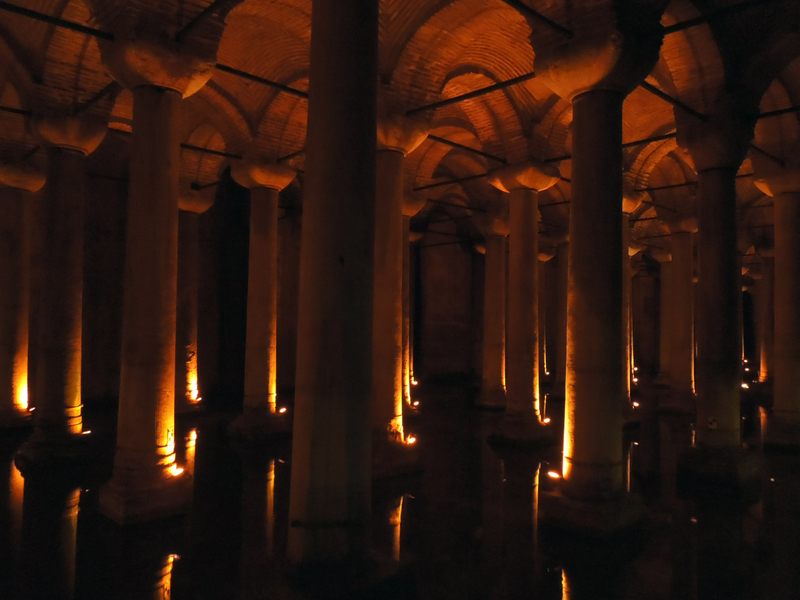 The cistern served a very specific function, and there is no disguising the engineering that went into it. But perhaps the most surprising element of design is that all three styles of columns (doric, ionic, and corinthian) exist here in harmony. Why, you may ask? 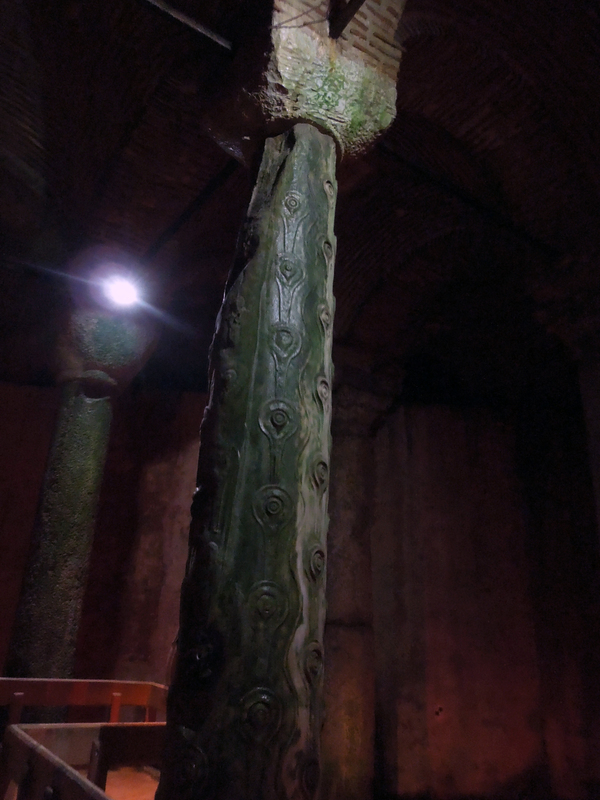 Well, apparently the Romans were recycling, pulling unused columns from all over and just popping them in here to hold up this underground structure. 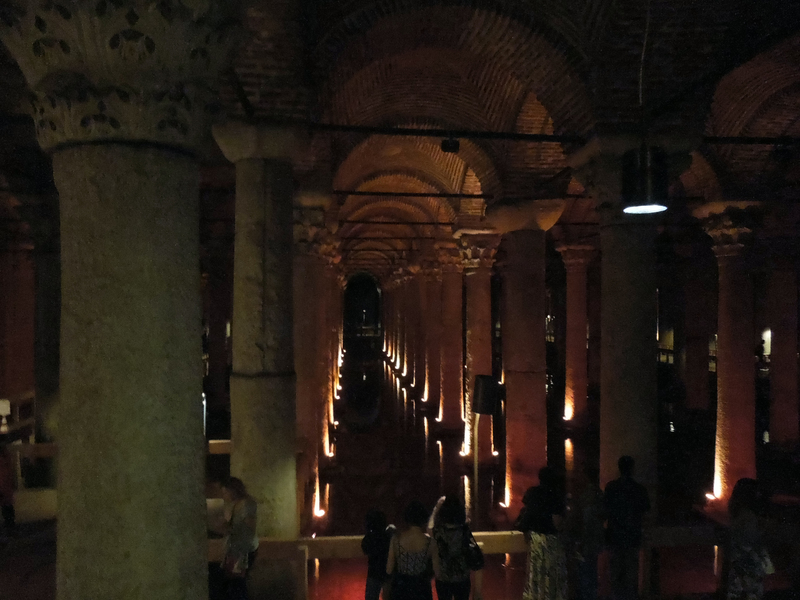 Because the Basilica Cistern is now a museum, they’ve installed boardwalk-like walkways throughout, so you can wander all around. They offer a very affordable portable audio tour, which admittedly we shared but found very insightful! Among the plethora of columns there is exactly one of these, decorated with evil eye symbols which ward off evil and persons with nefarious intentions. 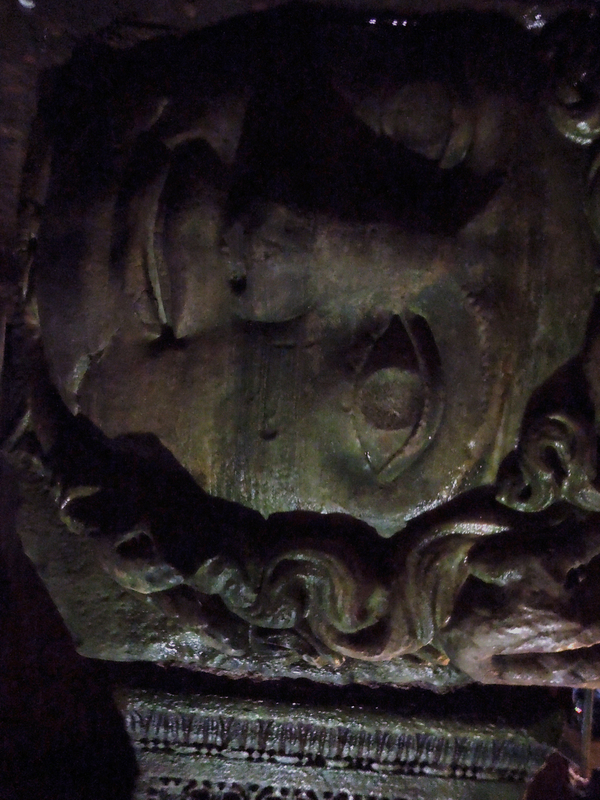 Even more interesting recycled elements include two Medusa heads. Their purpose was simply to prop up the columns they lie under, but since the myth was that if you look her in the eyes you will turn to stone they were sure to position her on either her side of upside down as a remedy to the possibility that she may do you in. We took our time walking through this incredible place, and even though it was dark and damp there was something quite special about being there. Maybe it has to do with the extraordinary contrast of that depth of history in comparison to the very short history of the buildings and artifacts here in the U.S. 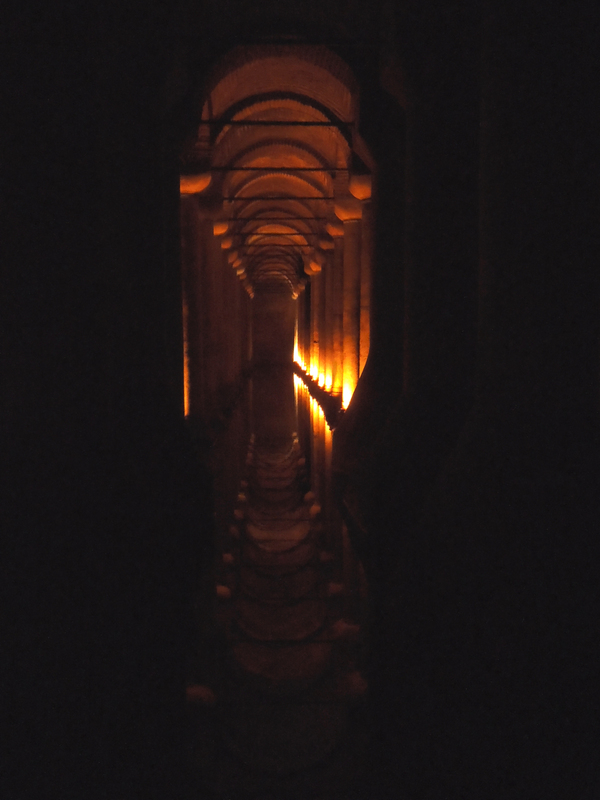 But regardless of what made it feel so special, I loved staring down the rows and rows of ancient columns into the darkness imagining what it must have looked like when it was new all those many centuries ago. What is the oldest historical site you have visited? What did you love about it?